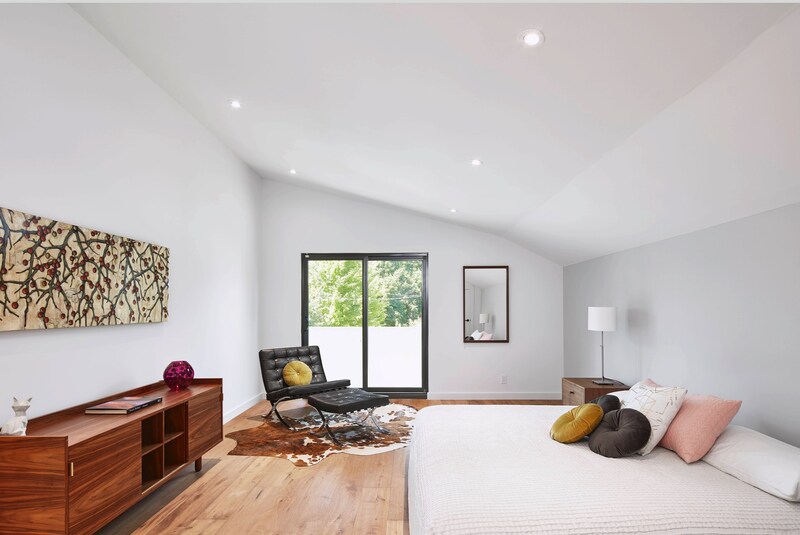 This stunning Scandinavian-inspired fully detached home sits on a quiet street in the heart of the coveted Leaside neighbourhood in Toronto. 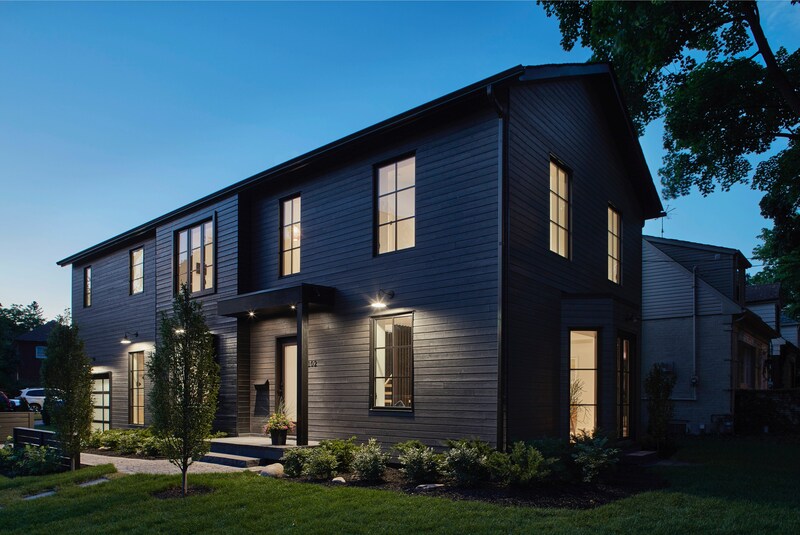 A magnificent interpretation of contemporary barn styling, the home’s exterior is a true original; clad in dark wood siding imported from Quebec, and punctuated with slim windows that add ribbons of grace and elegance to the wide façade. 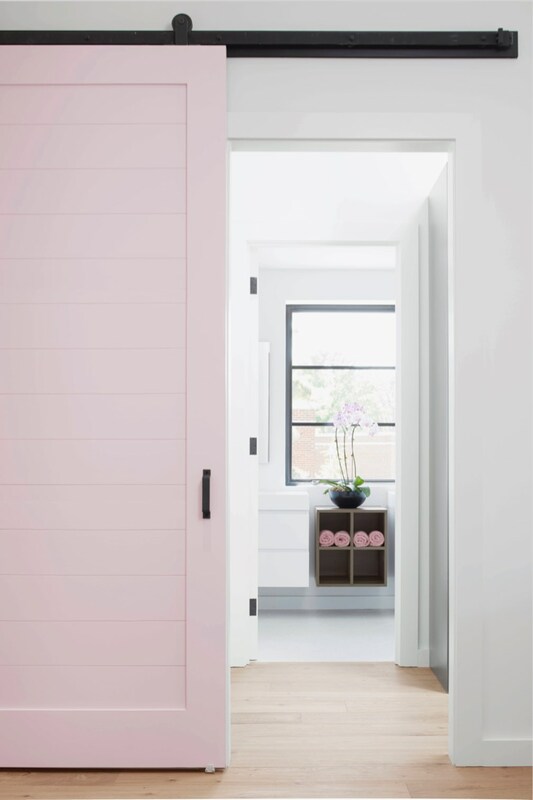 To make the most out of the corner lot, we maintained the classic barn shape but through a more modern approach with the emphasis on clean lines and simplicity. As soon as you enter the home, you are greeted by a breathtaking, fully custom oak staircase with full height pickets. 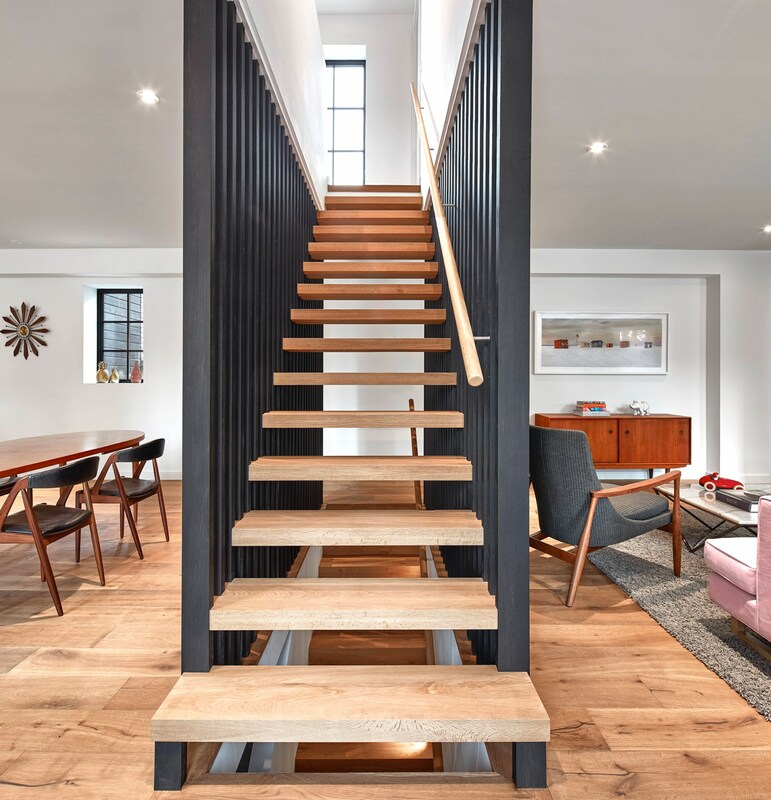 Acting as a divider or screen between the living and dining rooms, this feature staircase creates a sense of peacefulness that sets the tone for the interior. The design is quite complicated as there is no central stringer. 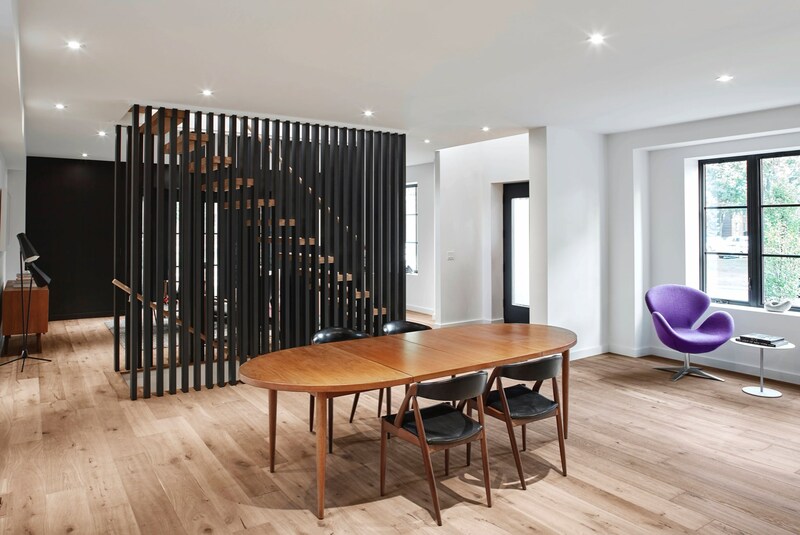 The treads are solid white oak left natural and are secured to the slats giving the impression that they are floating. The modern Italian kitchen plays a central role in the open concept layout. 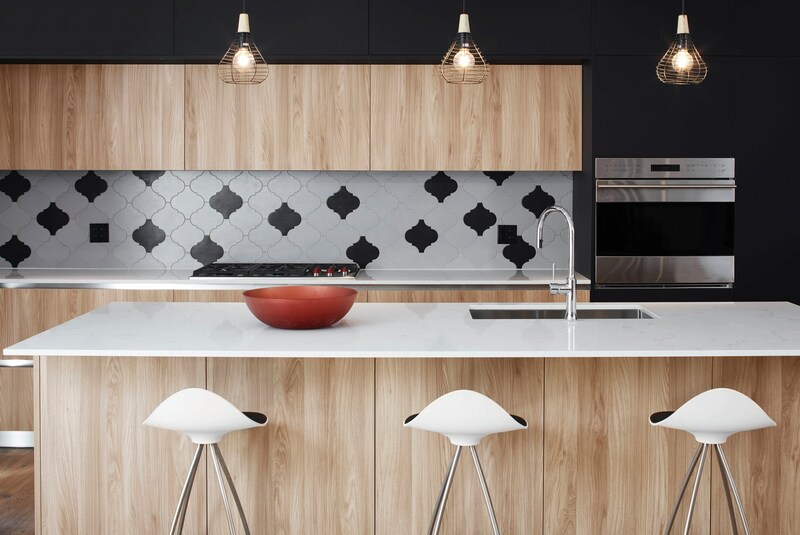 A mix of white oak wood and black matte lacquer form the cabinets on the long wall with plenty of storage and accented by quartz countertops throughout. 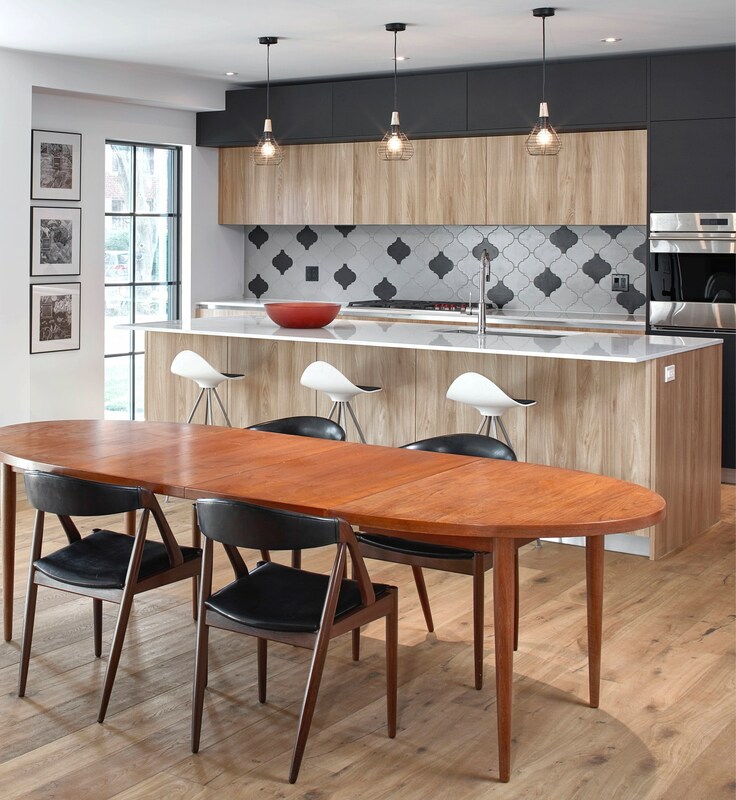 Engineered hardwood flooring in the kitchen is duplicated throughout most of the house creating a seamless connection to the open concept space. The Master Ensuite is designed as a quiet and relaxing retreat, acting as an extension of the Master Bedroom. Evoking a Japanese simplicity, the ensuite features white, modern and minimalistic vanities with a shower and stand-alone tub that are enclosed and separated from the rest of the bathroom by a glass panel. Three windows in the bathroom bring in abundant natural light.